Download Micromax Canvas Evok Note Stock Wallpapers In FULL HD Resolution: Micromax has lost a lot of market share in the past couple of years because of the emergence of various budget smartphone manufacturers like Xiaomi. 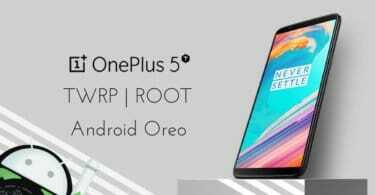 Yet Micromax Canvas series which is their flagship smartphone series is doing pretty well and the latest member of the series is the recently launched Micromax Canvas Note Evoke. The specifications are quite good and the smartphone comes with a huge collection of great stock wallpapers that you need to download for your smartphone to make its home screen look better than ever. The device has 5.5-inch LCD screen with the Full HD resolution of 1080 x 1920 pixels. The pixel density is quite good at 401 PPI and the aspect ratio is the standard 16:9. It is powered by MediaTek MT6753 chipset which is an octa-core 1.3 GHz CPU. The RAM is 3 GB while the internal storage is 32 GB which is expandable to 64 GB using the hybrid slot. The primary camera is 13 MP with dual LED flash and the front camera is 5 MP. There are fingerprint scanner and gyroscope among other sensors. The battery is one of the selling points as it has 4000mAh capacity. The device runs on Android Marshmallow 6.0 and the company is likely to provide an upgrade to Nougat. How To Download Micromax Canvas Evok Note Stock Wallpapers? Irrespective whether you prefer Micromax as a budget smartphone brand or impressed by Micromax Canvas Evok Note’s specification, you will surely be impressed with the collection of stock wallpapers Micromax Canvas Evok Note comes with. There are as many as 24 wallpapers and they cater to all the different categories of photos like abstract, scenery, patterns and likewise. They look stunning due to their awesome color combinations. There are wallpapers that are suitable for both light and dark themes. All the wallpapers have Full HD resolution of 1080 x 1920 pixels and hence, they are suitable for mid-range and premium smartphones as well. All these wallpapers are bundled together in a Zip file and the downloadable link is provided below. It is better that you download the file on your computer and select the best ones among 24 wallpapers and then transfer the selected ones to your smartphones. You will be surprised how great your home screen look when you apply them one by one.